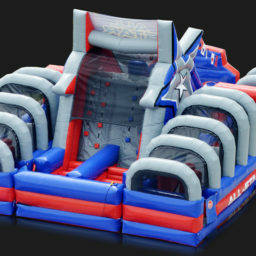 Need an obstacle course challenge fit for a studio audience? 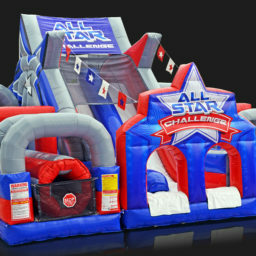 Host an All-Star obstacle course competition with the All-Star Challenge obstacle course. 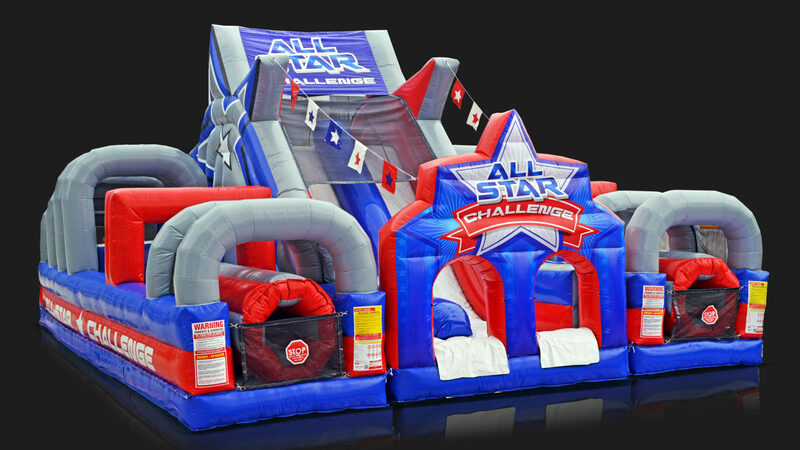 Decide whether to have guests compete for head to head or in teams, there are countless ways to tackle the All-Star Obstacle course challenge. 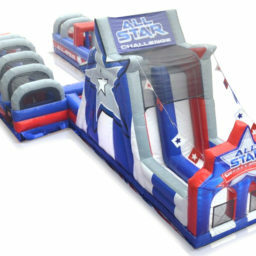 Use this rental as a stand-alone challenge or as a part of a field day for your organization or team. 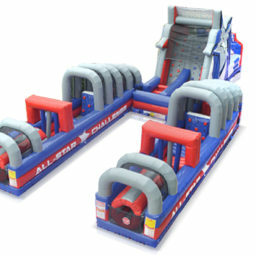 The All-star obstacle course is comprised of two identical obstacle courses on both the left and right sides that contain everything from climbing walls, slides, tunnels, and plenty of other obstacles in between. 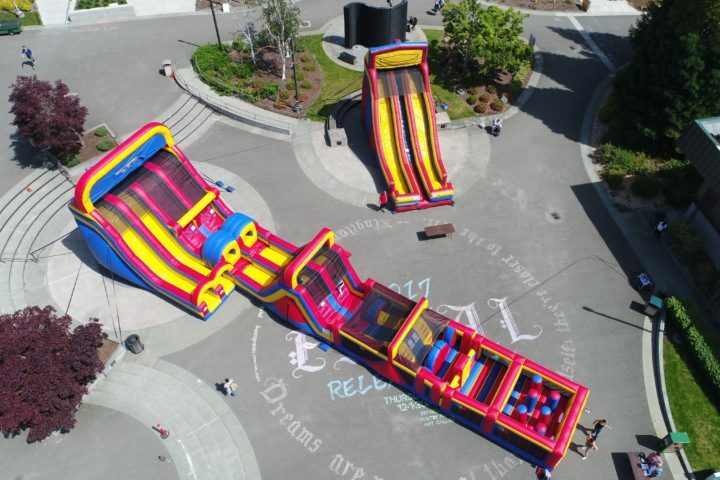 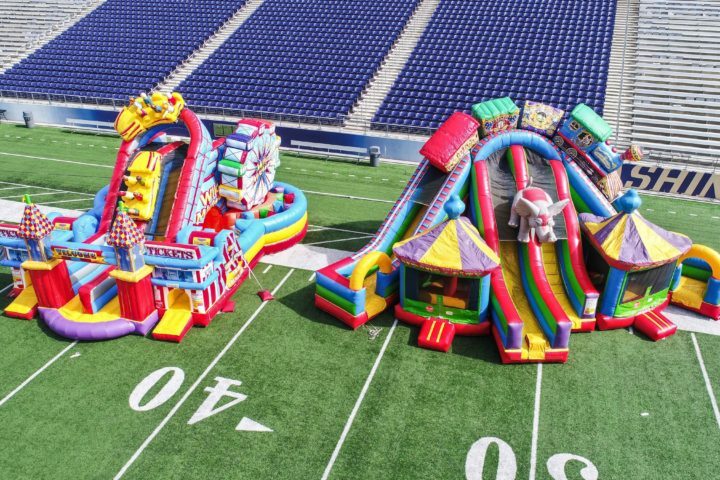 This inflatable unit can take center stage at an outdoor event or be in addition to an array of inflatables and interactive games like the Mega Sports Arena Obstacle Course, Sports Arena Obstacle Course, or the largest rentable obstacle course around: The Mega Obstacle Course Challenge.